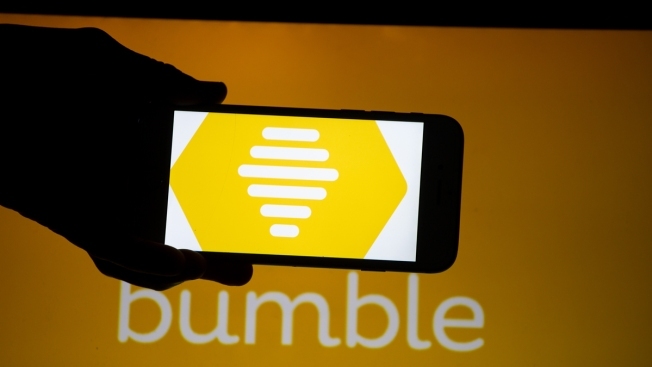 The logo of the dating app Bumble is seen on a mobile screen and a laptop screen. It was founded by a former Tinder employee. Bumble, the dating app, is pressing ahead with its $400 million countersuit on its larger rival Match and is pursuing an initial public offering. Designed as a social and dating app that allows women to make the first move, 4-year-old Bumble now has over 40 million registered users. It has expanded to include friend-finding and business networking. Match, the owner of Tinder, sued Bumble in March, claiming it violated its patents and trademarks and alleging a misuse of trade secrets. Bumble CEO Whitney Wolfe Herd was a co-founder of Tinder. Bumble filed the $400 million countersuit, alleging that Match Group interfered with its business operations by asking Bumble to provide confidential information under the pretense of pursuing a purchase. Bumble CEO says company is 'actively pursuing' an IPO from CNBC. Bumble says deal talks with Match fizzled after the initial lawsuit. "Match was unable to acquire us successfully, and they then filed a baseless lawsuit on our company and we are going to vigorously defend that in the court," Wolfe Herd said. "And we have the resources — the capital, the intellectual capital — to pursue this vigorously." A spokesperson for Match told CNBC, "Our statement on this lawsuit is the same today as it was six months ago: we obviously think this has no substance. To our knowledge, Bumble still has not served us. However, we understand their desire to distract from ongoing, actual litigation, regarding their misappropriation of trade secrets and infringing on our intellectual property. Bumble is required to file a response to our original claims next week and we look forward to proving these in court." Wolfe Herd says Bumble's growth is outpacing expectations. "We are at our annual run rate of $200 million for 2018, and we're only in year three. We've been a profitable business since year two," she said. The company gets its revenue from a subscription model where some features are free, and users have the option of paying for additional services. Wolfe Herd says Bumble is working to bring on advertising next year and is exploring other ways to boost revenue beyond dating and friend-finding. An IPO could help fuel international growth. Until now, Bumble has focused on English-speaking markets. "This is what we feel is best for our users, best for our global growth, and we feel that this will help us take our mission to every corner of the planet," Wolfe Herd said. Now, she said she's seeing strong results from launches in Germany and Mexico and will be actively pursuing the rest of Europe, Latin America and Asia. Wolfe Herd said she's not concerned about Facebook's announcement earlier this year that it's entering the dating market. "Candidly, Facebook has been in the dating space from day one, without the label, without the title," she said. "And so really calling it what it is now is validating. However, it's not going to have so much overlap for us." And she says Bumble's distinguishing features —- the fact that it's focused on positive dialogue with tools to prevent trolling — will serve its growth. "This is a time that social networks have more scrutiny than ever — with bad behavior, with inappropriate behavior. And Bumble, we're founded to combat this."